Acne affects millions of teens and adults worldwide, causing physical symptoms as well as taking an emotional toll. At the Skin and Laser Medical Centers in Victorville and Redlands, CA, patients receive the most innovative and effective care available to reduce breakouts, prevent scarring and produce clearer complexions. Acne breakouts occur when the hair follicles become blocked with sticky oil, providing an ideal environment for bacterial growth. As bacteria multiply inside these follicles, they cause inflammation, redness and swelling, as well as pus formation. Sometimes, the follicle may develop a white or black plug. Some people are more prone to developing acne - especially those with a family history of the disease. Acne is also more common during the teenage years when hormones are very active, but it can affect adults as well. Without treatment, acne can cause scarring as well as emotional effects like anxiety and depression. 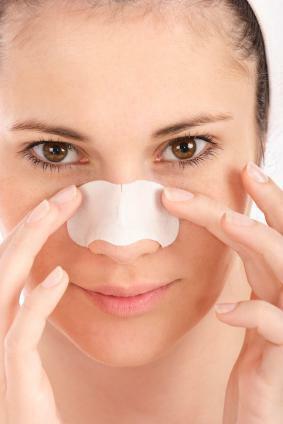 The good news is, there are plenty of effective treatments that can reduce the frequency and severity of breakouts. Can acne be caused by the foods I eat? Many studies have been conducted to determine if acne breakouts might be triggered by specific foods or ingredients, and no direct and conclusive link has ever been found. Likewise, acne is not caused by poor hygiene; in fact, washing or scrubbing the skin frequently or aggressively can actually make breakouts worse and more frequent. Acne typically requires a combination of treatments to control breakouts, and regular office visits help ensure these treatments remain effective and “tuned in” to the patient’s specific and changing needs. Prescription medications may be very effective, and in-office treatments like photodynamic therapy and Blu-U (blue light) therapy use different wavelengths of light to destroy bacteria lodged inside the follicles. Nonprescription options like topical benzoyl peroxide and salicylic acid can also be effective in managing breakouts, as can a handheld device called Zeno that uses direct heat to destroy bacteria. Is there anything I can do to prevent breakouts? The best way to prevent breakouts and lessen their severity is to see the dermatologist on a regular basis. Acne is one of the most common skin diseases, affecting millions of teens and adults in the U.S. and worldwide. Because the skin changes with age and other factors, seeing the dermatologist routinely is the best way to make sure treatment remains tailored to your specific needs so you can enjoy clearer, healthier skin.